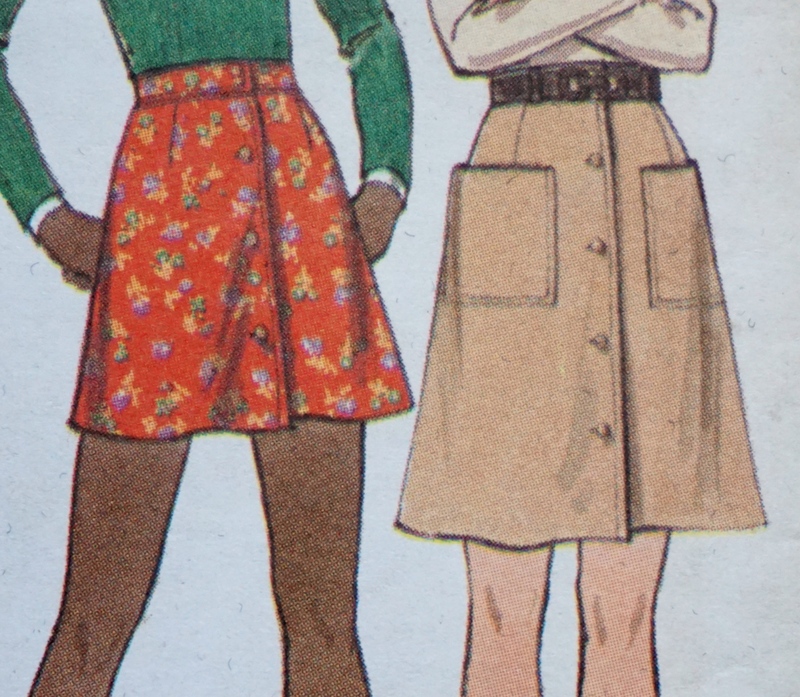 Since I have made a pledge to sew at least 5 garments for myself using vintage patterns this year, I thought it was time to figure out which ones I want to use. I decided to select patterns that would also help me fulfill my wardrobe architect goal of making a capsule wardrobe. I’ve identified several holes in my wardrobe (let’s just say I pretty much just need everything, right down to my knickers). I’m mostly in desperate need of clothing I can wear to work. I’m a librarian, so I can pretty much wear anything as long as it’s not jeans and a t-shirt. 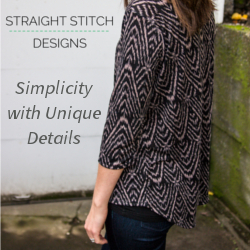 I’ve selected several contemporary indie patterns (I’m so excited to sew up some of those! 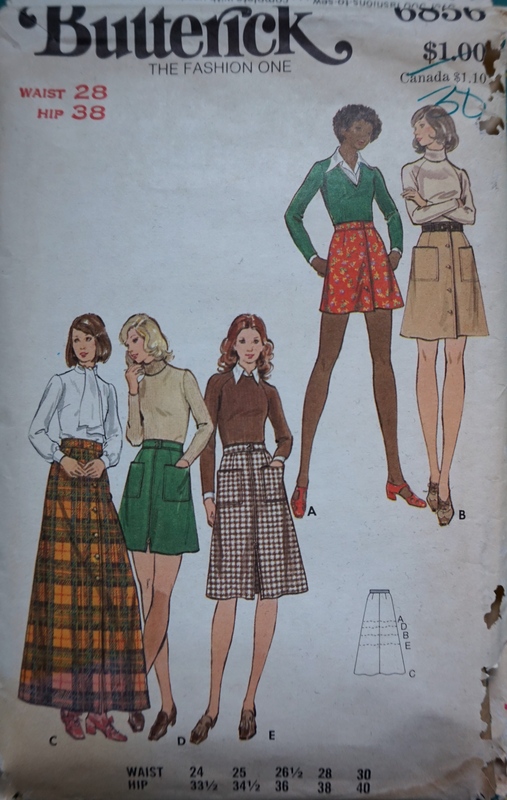 ), and I’ve narrowed my vintage patterns to five realistic and useful patterns. It’s nothing special, a knit top with a variety of sleeve lengths, but a definite staple in any wardrobe. I inherited this pattern from my grandmother. She wrote the date she purchased it as 7/30/1986, a habit she had throughout her life. I think she should’ve been a librarian! I plan on making version 3 in a size 10 because it’s a knit. I really like the boatneck and 3/4 length sleeves, but I don’t like the hem slit on the sides. I’ll probably add a band at the bottom, or just hem the bottom, but I won’t make that decision until I try it on. 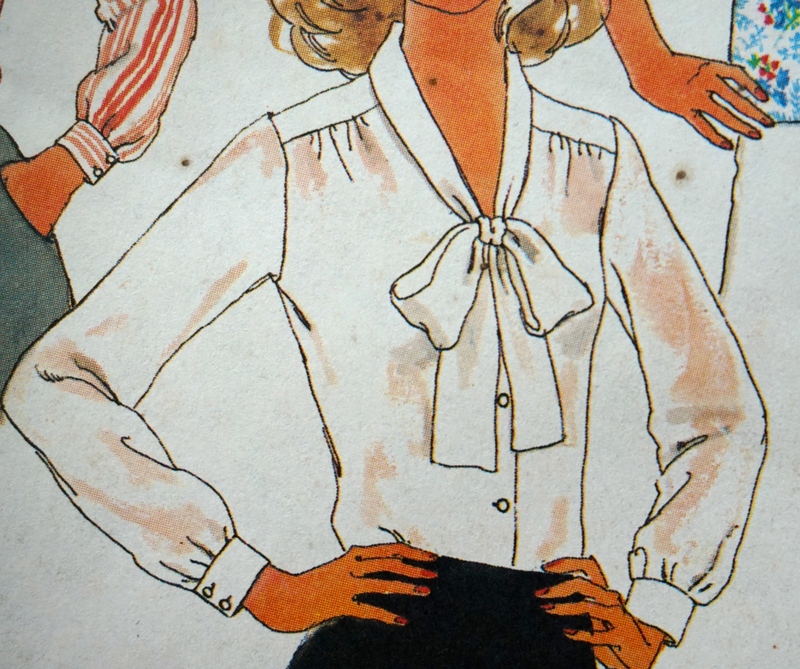 Gorgeous blouses with variations in collars/pussycat bows, and sleeve lengths. I also inherited this one from my grandmother, and it’s dated 12/9/1981. I don’t have any blouses that fit anymore, and this one is screaming my name. Version 2 is definitely on my list for this year. 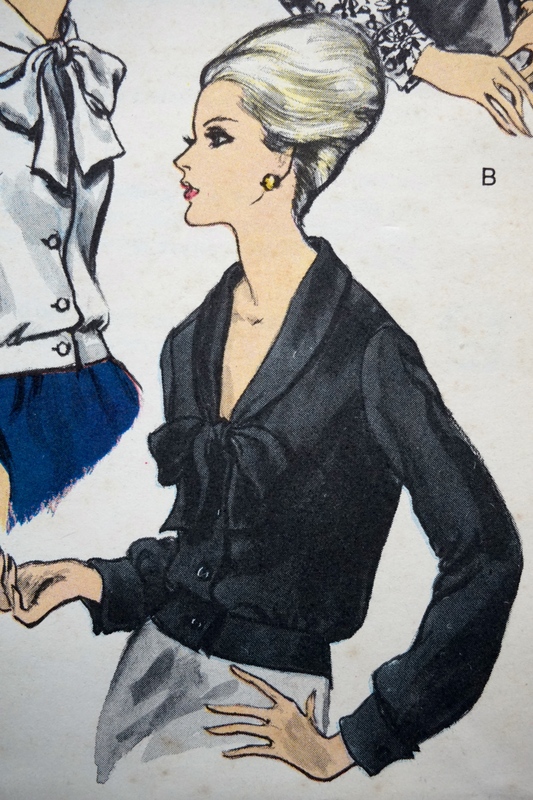 I love the bow, shoulder, and cuff details. 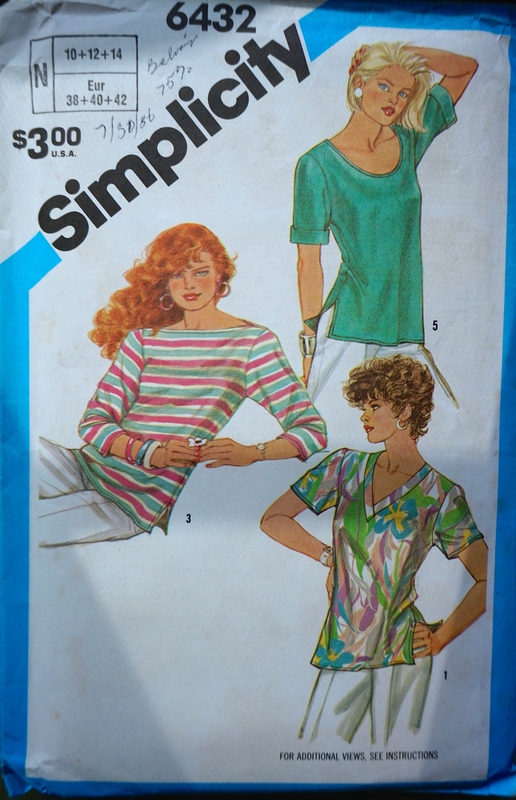 I think I’ll start with version 3, the short sleeved version of the one above if I can get to the pattern while it’s warm. I can’t wait to select a fabric for this one! I LOVE LOVE LOVE this one! I inherited from my great-grandmother, so no written date. It’s from the 60’s according to Vintage Patterns wikia. The only version I’m not crazy about is version B.
I am definitely making version A. Look at how gorgeous this top is!!! I already have the perfect black sweater knit in my stash too. Maybe I’ll make this one first because it’s sleeveless and has that adorable pussycat bow! A basic A line skirt in a variety of lengths and finishing details. This I also inherited, but it’s not dated. I think it’s from the 70’s. I enjoy skirts for cold and warm weather, such a great wardrobe item to mix and match for any season. It’s a tie between versions A and B. I think version B (on the right) is more professional looking, so I’ll probably start with that one. 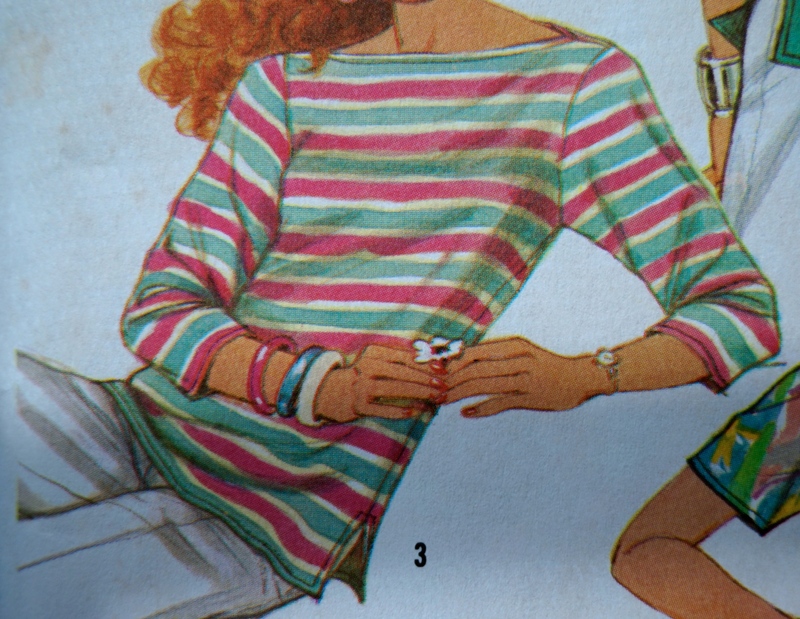 Suggested fabrics for this pattern include double knits, corduroy, imitation leather, medium weight wool, and jersey. I have some serious choices to make! What I think is interesting is that I never realized this was a maternity frock until I read the back months after putting it into my “must make” pile. I could’ve made it a couple of years back and taken full advantage of its adjustable capability! I will be skipping the ric rac detail when making version A for myself. I’ll also have to take a look at the hemline to make sure it’s short enough and wraps evenly to avoid that maternity look. This will be my first vintage pattern without lines! When I first looked at it, I thought “No way am I going to even tackle that one!”, but then I saw Working With Non-Printed Vintage Patterns on Lucky Lucille, and I decided to take it on this year. 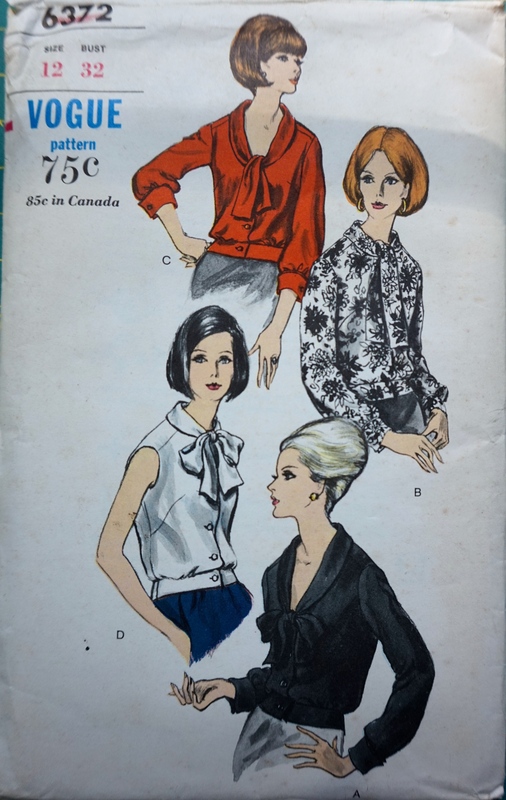 That’s the fun thing about including vintage patterns in my architect wardrobe goal, it forces me to expand my sewing skill set! 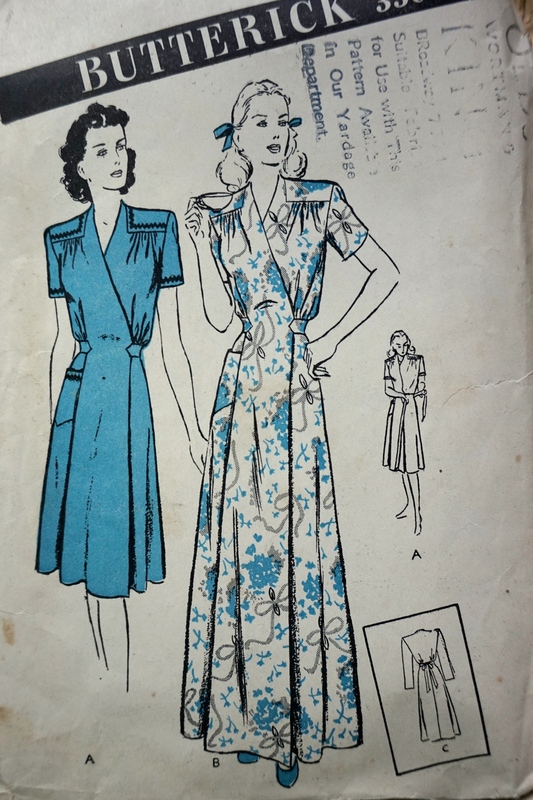 How many of you avoid non-printed vintage patterns too? Are you working on your own wardrobe architect goals? 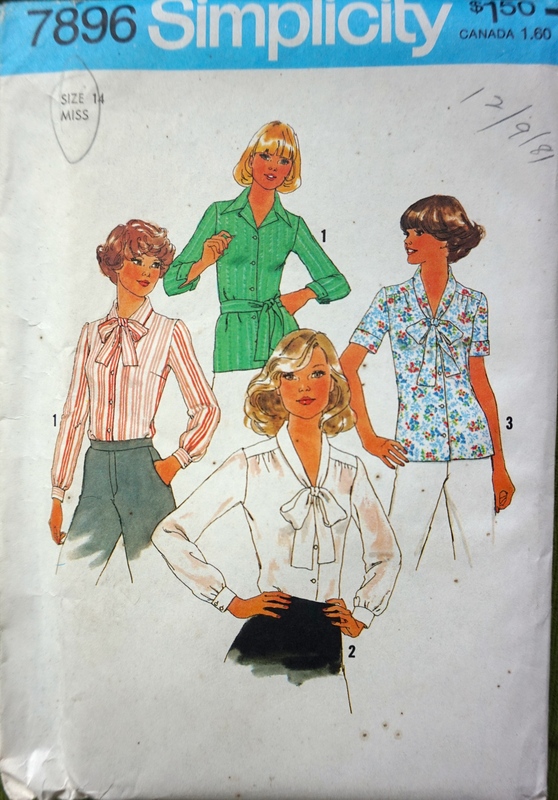 Are you including any vintage patterns? 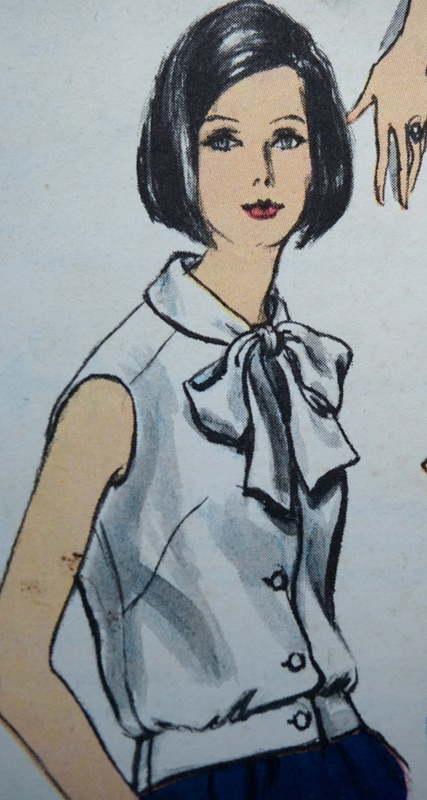 I love vintage pattern pledge! Thanks for hosting it! I’d love to see what you make!